Whisk or blend cream until thickened, then whisk in maple syrup until mixed. Keep chilled. 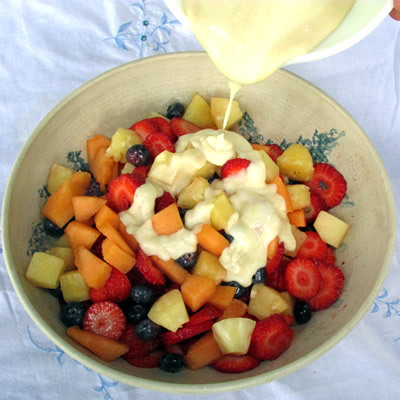 Just before serving, pour cream mixture over mixed fruit and add pine nuts if desired.